Supply chain management systems on their own don’t have the speed and scale to keep up with customers’ requirements today. Commonly defined as the integration of suppliers, production locations, warehouses, distribution centers and retail locations, SCM systems are going through a rapid transformation today. One of the most important benefits SCM systems provide is delivering the right mix and type of product to the right distribution, retail and selling location at the right time. The most important features of SCM systems include demand management, distributed order management (DOM), order fulfillment, manufacturing workflow and optimization management, in addition to supporting customizable workflows for the entire new product development and introduction (NPDI) process. SCM often makes up the base platform in high-velocity manufacturing businesses, unifying supplier qualification, quality and supplier relationship management (SRM) with advanced forecasting, sales and operations planning (S&OP) and returns management.  SCM systems begin to take on a large role in these businesses due to their ability to create greater levels of internal and external collaboration, reduce lead times, order cycle times and enable real-time feedback on customer demand and forecasts. The most powerful force driving more unified supply chain execution strategies is the rapid convergence of digital and physical supply chains. The convergence of supply chains is quickly redefining industry dynamics across every manufacturing and service sector. B2C companies are seeing this faster than they anticipated as Amazon’s speed and scale, combined with its simplistic purchase processes, are consolidating the retail landscape. Amazon Prime is representative of the type of business model revolutionizing entire industries based on the convergence of digital and physical supply chains. Consumer Intelligence Research Partners estimates the average Amazon Prime member spends approximately $1,300 per year, nearly double the estimated $700 non-Prime Amazon customers spend on the site. Amazon Prime also costs $99 a year to join. 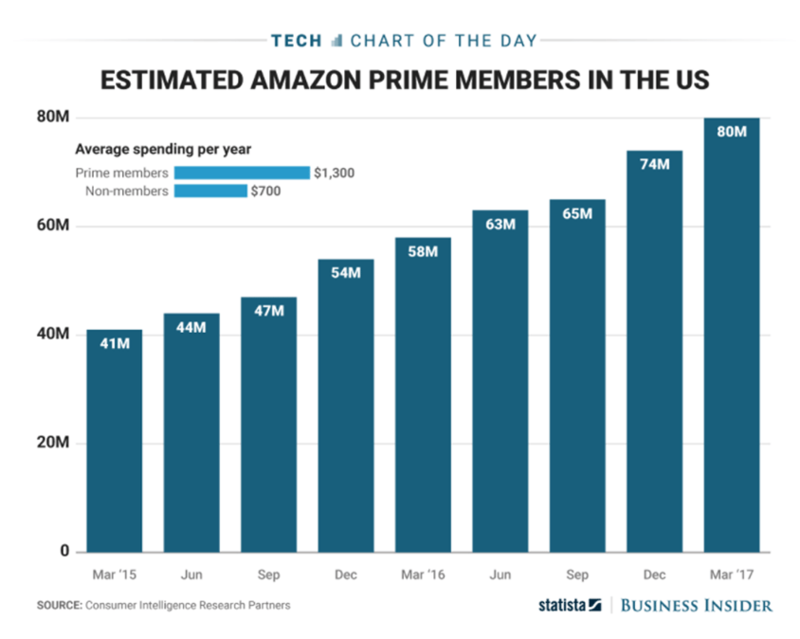 The following graphic provides an overview of estimated Amazon Prime members in the United States. By creating this premium service, Amazon has successfully brought together the digital and physical supply chains of their business by offering two-day shipping to Prime customers, free package pickups and Prime Specials daily that often provide for large discounts. Amazon Prime succeeds because the SCM, inventory management and WMS systems provide a unified, real-time platform aimed at delighting customers and exceeding their expectations. Dr. Jeffrey Dyer and Dr. Kentaro Nobeoka collaborated on an extensive study of the Toyota Production System (TPS) that concentrates on the system’s implications of a globally-based SCM, inventory management and WMS integration. The study generated a wealth of insight into how supply chain networks mature over time. One of the most noteworthy findings was that the more multi-dimensional a global supply network becomes, the more dependent all participants become on real-time data and knowledge. One of the study participants remarked that data providing supply chain visibility is more valuable than cash, as visibility data delivers long-term dividends and the opportunity for revenue growth. There are a series of dynamics that take place that forces multidimensional, globally-based supplier networks to move beyond bilateral to multi- and omni-lateral information workflows and relationships. Dyer and Nobeoka also found that the greater the explicit and tacit knowledge shared informally and formally through a series of SCM, inventory management and WMS systems, the higher the trust and the more efficient the entire supply network became. Of the many excellent takeaways of this study, the most valuable are that supply chains must be flexible in order to adapt to changing information needs and deliver insights more valuable than cash. New business models are being created based on the opportunities that digital and physical supply chain convergence are enabling today. Examples of this include more streamlined configure-price-quote (CPQ), product configuration, mass customization, product and services co-creation business models that attract entirely new customers for new products. Selling new products into new markets is the most challenging growth strategy there is. Companies are attaining this challenging goal by unifying SCM, inventory management and WMS systems to accomplish customer-driven product development, selling and revenue goals. In the past, inventory management systems concentrated on the planning, organizing, optimizing and managing of inventories across a company’s base of distribution, warehouse and storage locations. Inventory management systems today can support multiple types of product and service taxonomies or approaches to organizing components. These taxonomies or approaches to organizing assemblies, components and subassemblies need to be flexible in response to new business models, and help deliver orders early or on time, therefore exceeding customer expectations. Inventory management is also being redefined by the converging of digital and physical supply chains, creating entirely new business models. These new business models are forcing inventory management systems to become more agile, flexible and responsive in structure and scope. Inventory management in the past concentrated on the tracking, managing and forecasting materials usage. Today, inventory management needs to be directly integrated into both the SCM and WMS systems so companies can excel at meeting and exceeding customer expectations for real-time responsiveness. The link between inventory management and supply chain networks and management is the catalyst for delivering what customers want most: accuracy and a quick response time. In the past, WMS systems were defined narrowly, only encompassing the managing of storage locations and five main functions. These five functions included the receiving of goods, their identification, preparation of the record, storing and packing. Of these areas, identification is going through the fastest technological evolution, with Radio Frequency Identification (RFID) technologies replacing barcoding. RFID is revolutionizing WMS by bringing an exponential increase in accuracy and speed to warehouse operations, providing up to a 16X accuracy gain over manually-based methods (Zhou, Piramuthu, Chu, Chu, 2017). Customer’s expectations of quick order delivery, real-time responses to their order status questions and perfect order performance are forcing WMS to support end-to-end supply chain processes more than ever before. It’s the urgency of customer requirements and expectations that are forcing WMS, SCM and inventory management systems to become more integrated, capable of providing real-time responses. This extends the traditional functional boundaries of WMS to include more efficient yard management, parcel manifests, value-added services, assemble-to-order manufacturing, third-party logistics (3PL), vendor-managed inventory (VMI) and advanced identification technologies including RFID and the Industrial Internet of Things (IIoT). The more ingrained WMS is into the end-to-end supply chain processes of a company, the greater the supply chain execution accuracy and speed. The greater the competitive intensity of a given industry, the greater the need for supply chain speed and scale. While there are major differences between supply chains at the industry level, all are going through a customer-driven transformation today. Physical and digital supply chains are quickly converging in response to customer’s expectations for real-time experiences 24 hours a day, seven days a week. Having a supply chain and manufacturing process that are flexible enough to support short-notice production requirements is winning more deals and quickly increasing revenue today. In conversations with customers of top tier manufacturers in the auto, aerospace & defense and medical products industries, this ability to take in short-notice orders and deliver them on schedule is highly valued. To excel at supply chain execution, these manufacturers have already integrated their SCM, inventory management and WMS systems into a solid, scalable strategy that can flex to their customer’s demands. This is another factor driving the convergence of SCM, inventory management and WMS systems globally. Gaining greater visibility into each aspect of product quality, from initial inbound inspection to delivery to the shop floor and order fulfillment also requires integration with the main enterprise resource planning (ERP) systems a company runs on. By integrating SCM, inventory management and WMS systems across an entire company and having ERP data available on manufacturing performance, companies are starting to gain greater insight into their manufacturing operations. This emerging area is called manufacturing intelligence. By combining data from manufacturing systems, it’s possible to use predictive analytics to provide insights into which specific supplier, manufacturing and fulfillment workflows will deliver the highest quality products in the shortest amount of time. Manufacturing intelligence is revolutionizing quality today and making it possible through the use of Lean Six Sigma techniques including the DMAIC (Define, Measure, Analyze, Improve and Control) to better meet and exceed customer expectations. The following graphic explains each phase of the DMAIC process. Using these as the foundation, manufacturing intelligence relies on the data obtained from SCM, inventory management, WMS and ERP systems to deliver high-quality products on every order. Regulatory compliance is increasing across all industries today, with aerospace & defense, automotive and medical device manufacturing seeing exponential increases in compliance reporting requirements. In the medical products manufacturing industry, the costs of non-compliance can easily run into the millions of dollars. With heavy fines and the risk of losing valuable production time, manufacturers are quickly integrating SCM,inventory management and WMS to enable greater visibility throughout their supply networks. The CEO of a medical device manufacturer best summed it up when she said: “we want to excel so well at compliance, our operations run lean, deliver excellent quality and the lowest possible cost with no wasted time or resources at all.” That’s an ambitious goal, and representative of how compliance is driving tighter integration of SCM, inventory management and WMS systems. The agility and speed of supply chain networks make or break any manufacturer of price-sensitive products like laptops. Speed and time-to-market are one of the most formidable competitive advantages electronics manufacturers have today. Only by having a unified supplier network with instant, real-time visibility into inventory levels, warehouse management performance metrics and demand forecasts, can these companies succeed. Tightly integrated supply chains provide insights into operational effectiveness, including perfect order performance, plant utilization and order cycle times. They also provide cash efficiency metrics and, most important, demand visibility and SCM costs. Getting in control of these costs is key to driving faster product roadmaps, improving new product introduction efficiency and shortening time-to-market. Making delivery dates on a consistent basis requires clear visibility throughout an entire supply chain network. Manufacturing intelligence is increasingly being used to predict where a potential problem could surface that would slow down deliveries. Using this data across the SCM, inventory management and WMS systems, many manufacturers can troubleshoot when and where their biggest potential bottlenecks are. Also, they are relying on supply chain execution frameworks that provide real-time data across the SCM, inventory management, WMS and ERP systems to ensure perfect order performance and on-time deliveries. Improving the speed and scale of supply chains starts by unifying supply chain management, inventory management and warehouse management into a single unified strategy. Relying on a standalone SCM system puts any company at a significant competitive disadvantage, including the inability to respond to new opportunities and business models forming from the convergence of digital and physical supply chains. Inventory and warehouse management systems are going through a revolutionary phase in their development today as the need for greater end-to-end process scale and speed become high priorities to compete and win new business. This entire area is moving rapidly, so every company needs to think about how they can bring greater speed, scale and simplicity to their supply chain execution strategies. Youngkyo, S. (2017). Knowledge Network of Toyota: Creation, Diffusion, and Standardization of Knowledge. Annals of Business Administrative Science, 16(2), 91-102. Zhou, W., Piramuthu, S., Chu, F., & Chu, C. (2017). RFID-enabled flexible warehousing. Decision Support Systems, 9899-112.